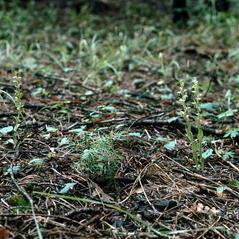 Platanthera brevifolia, the Short Flowered Bog Orchid, is widespread in Mexico and reaches its northern limit in New Mexico. 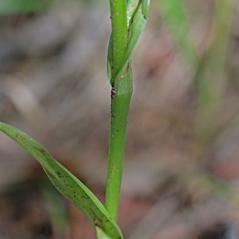 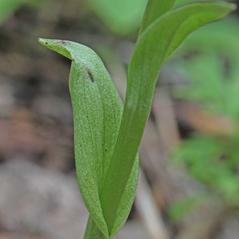 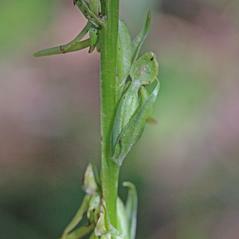 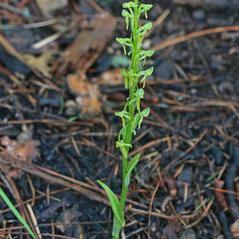 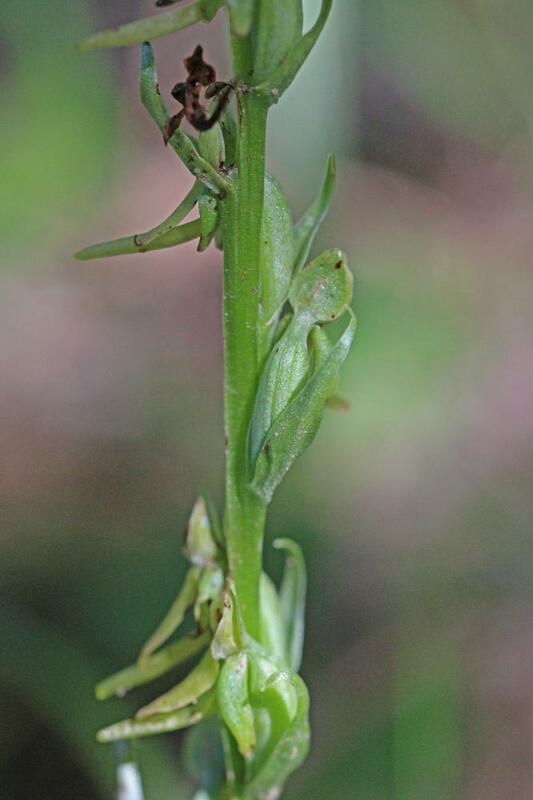 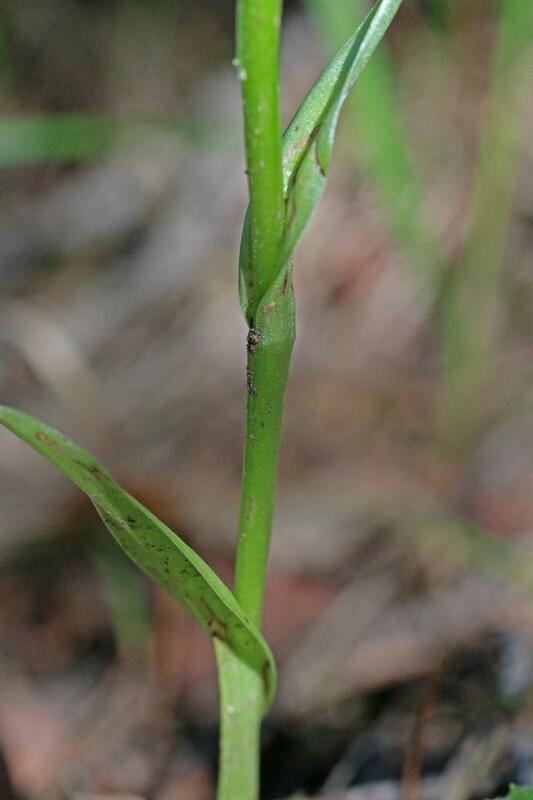 This orchid is easily identified by the leaves, which are reduced to bracts clasping the stem. 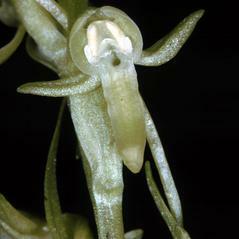 The inflorescence is a long raceme of relatively large, green to greenish yellow flowers with the petals and dorsal sepal forming a hood over the large column. 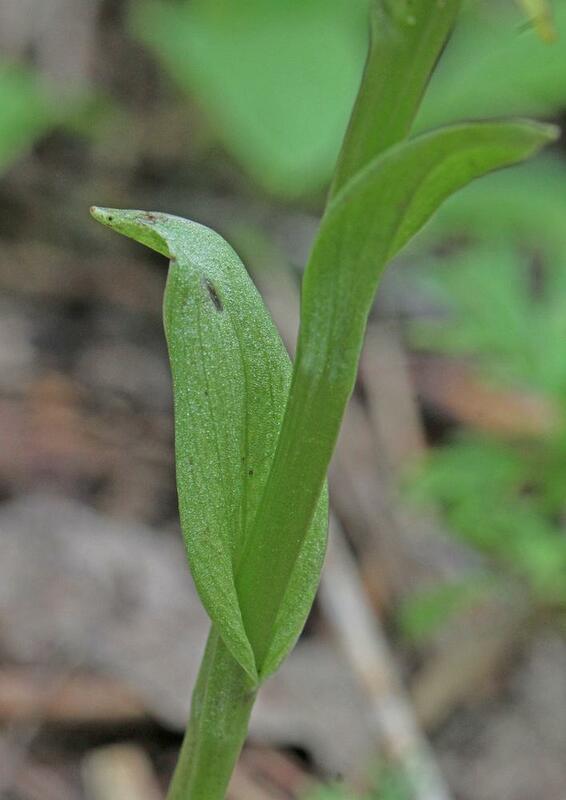 The labellum is long and linear, but is dwarfed by the much longer curved spur. 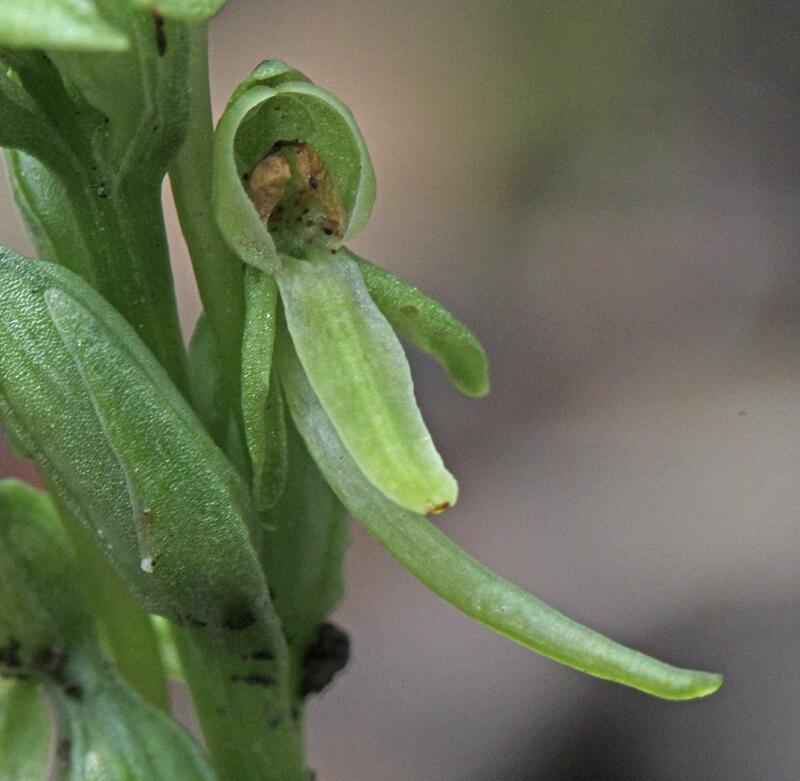 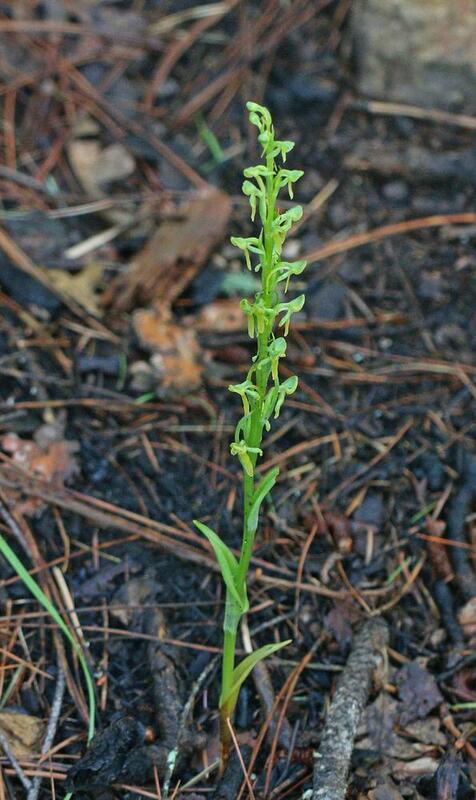 This orchid prefers drier sites than other western Platantheras and grows in pine-oak woodlands, conifer forests and along banks of intermittent streams. 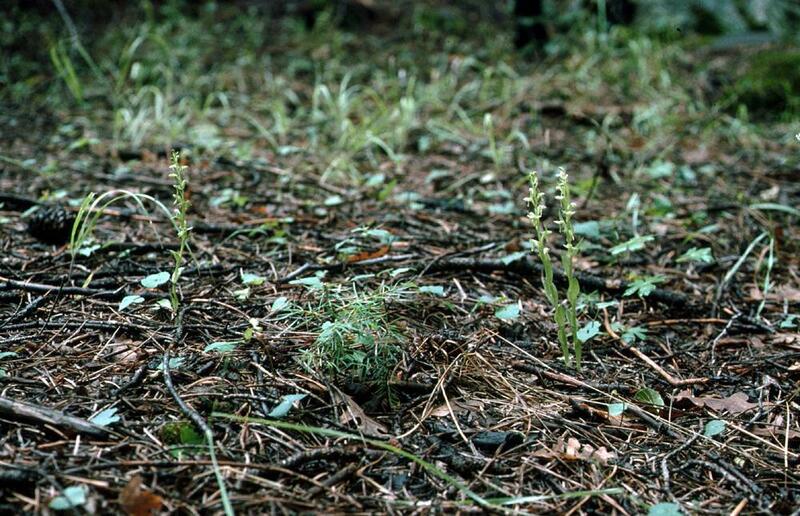 Platanthera brevifolia is apparently secure across its range where populations are widespread and locally common, although its conservation status in New Mexico has not been reported. 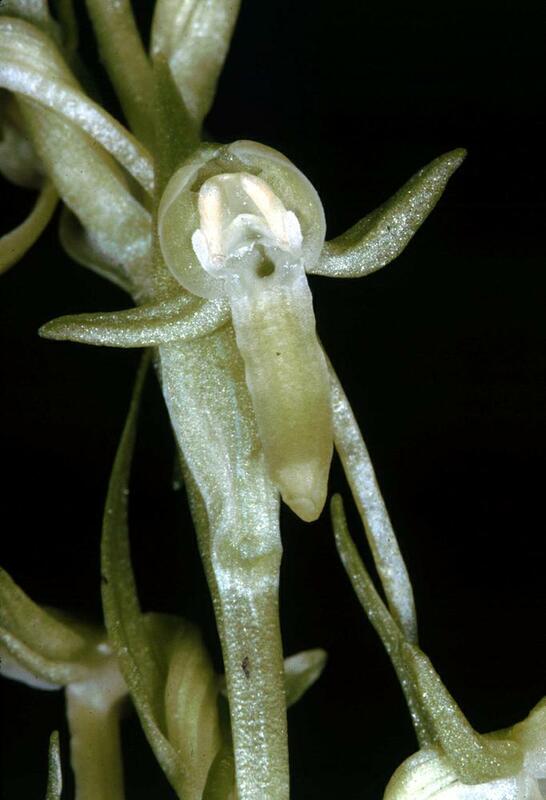 Pollinator information for this orchid has not been reported.